I love this card! Even better is that you can get this stamp set for only $5 when you place a minimum $50 order (before shipping and taxes) during the month of July. 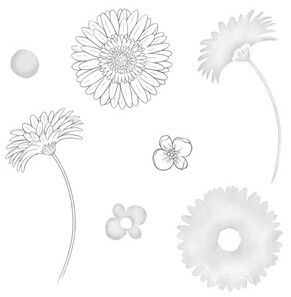 This stamp set is valued at $20.95 that you can order in wood mount #131274 and clear mount #131275 for $5. Here's how it works. 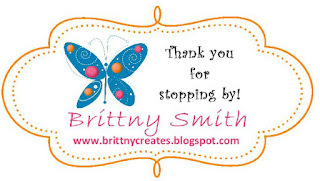 Go to my online store www.brittnysmith.stampinup.net. Spend $50 on any current Stampin' Up! products to get the exclusive Reason to Smile Set for just $5. There is a limit of 1 per customer. You will NOT be automatically prompted to enter the $5 Item Number for a qualifying purchase. Use the following item numbers Wood #131274 or Clear #131275 after your order total is over $50. What a great promotion and stamp set for such a steal! Don't miss this one because you won't be able to order this set after July 31st.